EPR000190 ENGLAND (1934). Lancashire County and Manchester Cricket Ground, Old Trafford, 1934. This image was marked by Aero Pictorial Ltd for photo editing. 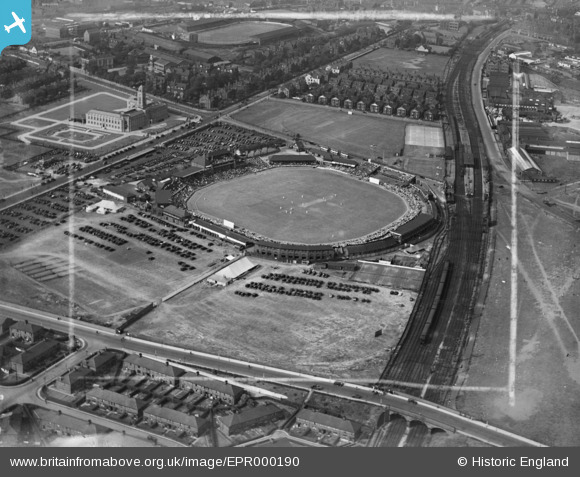 Title [EPR000190] Lancashire County and Manchester Cricket Ground, Old Trafford, 1934. This image was marked by Aero Pictorial Ltd for photo editing.